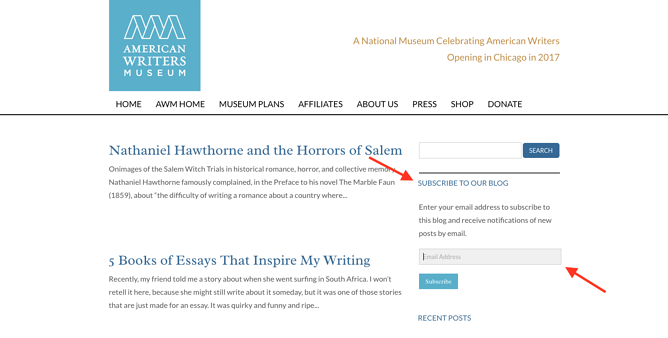 What does being in a "content rut" mean to you? Perhaps the words remind you of writer's block, when you couldn't think of fresh topic ideas. (We've all been there.) Or maybe it makes you think of those days, weeks, or even -- horror of horrors -- months when your content seems to be falling kind of flat. There's one other thing it might make you imagine -- the kind of content rut with the same types of content getting created over and over again, instead of mixing it up. A big part of building a strong content strategy is experimenting with new types of content. Your audience may love your podcasts, but that doesn't mean that's the only thing you should create. Fresh content types can expand your reach and attract more, and possibly even better leads. To help you shake up your content balance, here are 20 things you can put behind a landing page to help you collect new leads -- and ways you can optimize your landing page for each type. Here's a good example from LiveCareer. The company created a piece of content that aligns with its brand -- a job search handbook -- and built a landing page around it. Plus, it's sharable. The social sharing icons below the form make it easy for users to tell their friends and colleagues about the content. For more detailed tips, click here to learn how to create ebooks from start to finish. Your audience may also be excited to fill out a form in exchange for a video course or tutorial. It's up to you whether to produce, shoot, and edit the video in-house or hire a professional. You can hold the course live, or post a recording. Either way, ask participants to share their email address in exchange for the tutorial, so you can send them an email with the video recording that they can access forever. Lynda, LinkedIn's learning platform, does that well with its course previews. Users are able to watch the first minute of a lesson and when that preview is over, a prompt appears to start a free trial. Trials aren't just limited to things like courses. Sometimes, your prospects will want to try out your product or service before deciding whether they're a good fit. That's a good thing -- you want to grow a base of customers that are convinced and loyal, and that can take a little more work than trying to sell your stuff to everyone who will listen. That's why it can be helpful to provide a free trial of your product or service with no risk, no obligation, and no credit card required -- the only thing the prospect needs to do is fill out a form. Here's how Geneious used a form for a free trial of its research software for biologists. Notice how the form is followed by images of the program and FAQ, in case the user scrolls before committing to the form. ...or as complicated as you'd like. Notice how Brytor Designs uses its lobster gauge giveaway -- I mean, who doesn't need one of those? -- to pull off a double whammy of lead generation. To enter the contest, the user has to both follow the brand on Instagram and fill out a form. But Brytor made it easy. When I clicked the Instagram icon on the page, it took me directly to the brand's profile in a new tab, so that I could easily go back to the landing page and fill out the form. Here's one way that Nusii pulled that off with the landing page for its proposal cheatsheet. It's colorful and visual, with the imagery suggesting that the downloadable itself will be equally easy to follow. The only thing we'd change here? Consider removing navigation from your landing page -- you can add it back in on your thank you page. Be sure to limit the text and visuals to the valuable content you're providing. Notice how there's no navigation on Bonafide's landing page below, which gives the visitor less of an opportunity to navigate away from the form (and the content). 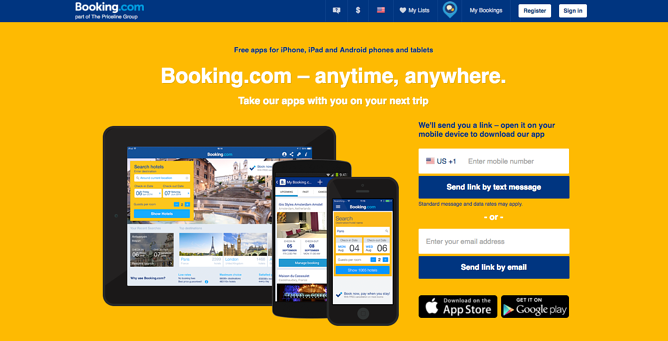 The text explains why the user should download the checklist, and personalizes the benefits to make the brand relatable. An email series is a multi-part series of emails sent to an individual who specifically opted in to receive them. It's different from an email subscription -- it has a finite number of emails sent. These programs are especially popular around the holidays, when many brands do "12 days of"-themed promotions. Microsoft, for example, executes one each year. And notice how even though I was a bit early for this year's holiday email series, Microsoft still used the landing page to encourage me to shop its current sales, or look at last year's prizes. Another example is HGTV's Urban Oasis, in which a lucky winner receives a completely refurbished home. Users are allowed to submit one entry per day, and can opt in to receive daily email reminders to enter until the contest is over. Guides come in many shapes and sizes. There are "ultimate guides," which are long, in-depth, and usually include detailed explanations, screenshots, and step-by-step instructions. Then, there are "simple guides," which are shorter and much more concise. There are also tactical guides, pocket guides, introductory guides and advanced guides. The list goes on. What's the common denominator? They're all tutorials of some sort, and many of them include step-by-step instructions. 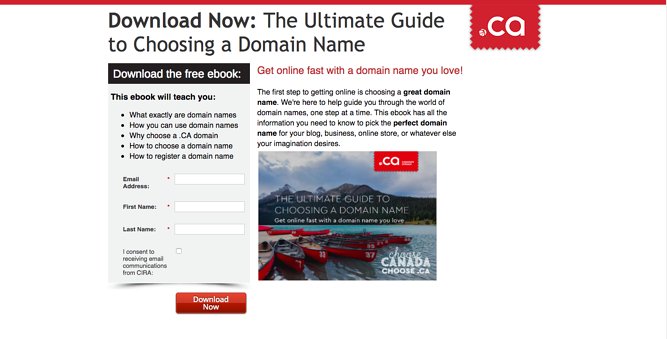 Below, the Canadian Internet Registration Authority uses a landing page for its "Ultimate Guide to Choosing a Domain Name." It's simple, well-branded, and concisely explains what the user is getting out of this download. Kits are pieces of content grouped together into one offer. They're great for repurposing existing content by aggregating multiple offers on similar topics into a cohesive collection. For example, HubSpot offers an Inbound Marketing Kit that includes an interactive presentation, a report that includes original data and research, and glossary. But this content also works well with things like media kits. Not only are you providing a user with more information and media about your company, but you're also offering it in exchange for contact information. See how Her Campus Media does that below. It helps the brand follow up with potential advertisers, which is especially valuable in digital publishing. Podcasts can build an audience and establish your brand as a source of expertise, while also showing off your company's personality. They put a voice to your brand, so to speak. And creating one can even be relatively low-budget -- all you need is a decent microphone and a smart -- but fun -- host who can keep your audience listening in each time a new one is released. Because SlideShares, like blog posts, are great for traffic, some marketers choose to share them without hiding them behind a form. But that doesn't mean you can't offer a download of your SlideShare in exchange for some information. If your SlideShare is good enough, it can be a low-effort way to convert readers into leads. Here's an example for a particularly nice design from Collision Latitude. Notice how there are bullet points to outline exactly what knowledge the user will gain from this download -- as well as those handy social sharing icons. Templates are great offers because they provide readers with a backbone for creating original things on their own. Templates often take different forms -- calendars, worksheets, and other outlines can all benefit different audiences in the form of a template. Here's how LIVE Magazine SA did that with registration for one of its free events. Notice how the brand used a Google Forms -- a free and easy way to collect registration data without navigation or other distractions. Just make sure to direct your visitor to a thank you page where he or she can start navigating your site again. Interactive tools can be difficult and time-consuming to create, but if they're truly helpful for your audience, the payoff is often worth it. 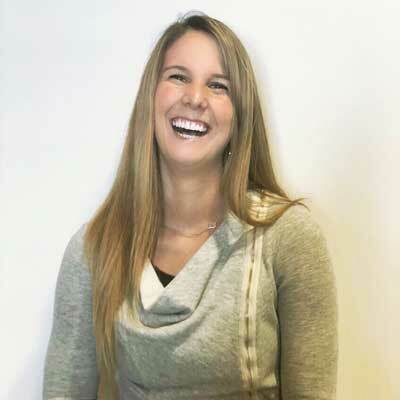 Take HubSpot's Marketing Grader, for example. The landing page form below is simple and only requires a website URL and email address. The feedback that the marketer gets from this tool is worth a lot compared to the amount of information we ask for. That makes it a compelling exchange. Who says a free product doesn't earn business? They're actually a great opportunity for lead generation. Try giving out free versions of your product or service -- it can be lighter or have fewer features than the full-blown version -- with no risk, no obligation, and no credit card required. The only thing they need to do is fill out a form. The webinar is a useful content format for introducing prospects to thought leadership around your industry, and it establishes you as an expert in the discussion. A successful webinar takes a lot of work -- especially with regard to planning and promoting it -- but with the right strategy, it can be a great way to generate high quality leads. Here's one that Sprout Social did about Instagram with a special guest. 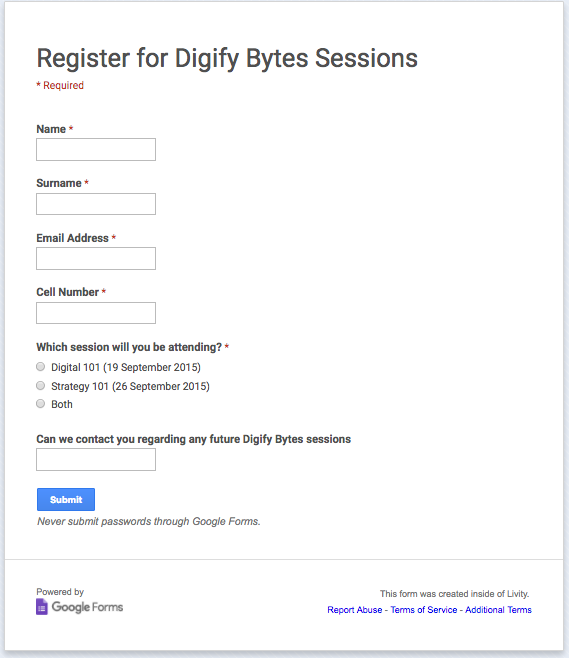 The registration page is fairly simple in design, but still has enough information about the webinar leaders to pique the interest of prospective attendees. Ebooks are informal, fun, design-heavy pieces of in-depth content. Whitepapers are more academic and persuasive reports. They're structured to present a problem, then provide a solution to it. People download them because they are authoritative, detailed, and informative. And since every audience could use a good hold on their respective industry details, whitepapers can be quite valuable to them. The cool thing about whitepapers is that they can be created around almost any industry. 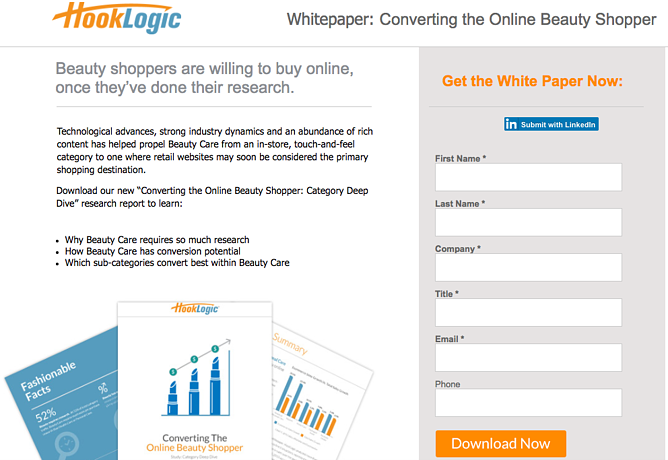 Here's one that HookLogic created for the buying behavior around beauty products. Notice that the landing page allows users auto-fill the form using information from LinkedIn. Letting visitors auto-populate this data makes it easier for them to get to your content quicker, encouraging them to complete the form. From ebooks, to apps, to templates, each type of content you put behind a landing page has a specific job. By experimenting with different types of offers, you can observe which ones resonate with your audience and convert the most leads. Of course, you can always do more of what works, but never get too comfortable -- keep you audience alert and intrigued with new topics and formats that are groundbreaking, but relevant. Editor's Note: This post was originally published in October 2014 and has been updated for freshness, accuracy, and comprehensiveness.